If you want to fly more exclusively or with your own group members you can fly with a private plane and pilot. We also recommend chartering a private plane if you have to transport special equipment. The luggage capacity with other flights only allows 10 kg per person. If you want to take your own kitesurf– or fishing equipment you usally have more than ten kilos, which the common airlines will charge you extra. 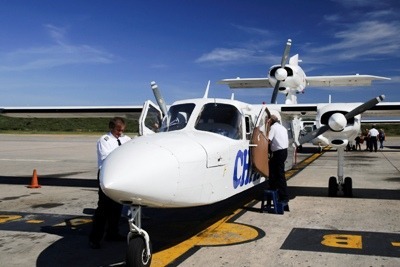 A charter flight gives you more opportunities. Book a flight to Los Roques. Our agents will consult you with prices and disposability. Besides Los Roques flights we offer special packages. Please have a look.